Here are some of our favorite accommodations on Anna Maria Island. 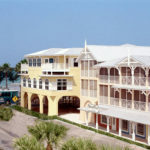 BridgeWalk, is a landmark resort, offering 28 spacious Key West style accommodations. Bridgewalk is located on Bridge Street in the historic district of Bradenton Beach, one of the three cities on Anna Maria Island. Silver Surf is known for having affordable and clean rooms. Silver Surf has 50 charming units right across the street from its own private beach. Silver Surf is located on Bradenton Beach, one of the three cities on Anna Maria Island. Silver Surf is the number one resort among Bradenton beach resorts, and the cream of the crop among numerous Anna Maria island hotels. Anna Maria Island features gorgeous beaches, beautiful weather, and a fun, family-friendly environment ideal for the ultimate vacation. Haley’s Motel has been part of this “Old Florida” neighborhood for 65 years. 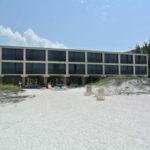 They have incorporated modern amenities, but not losing that laid back and quaint atmosphere providing the ultimate Florida beach resort experience. 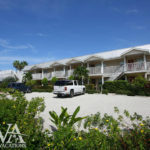 Anna Maria Island Dream Inn provides just another day in paradise. The resort is only steps away from the Gulf’s most beautiful sandy beach. You can listen to the soft sounds of the waves gently lapping the shore from your room. Maybe you will see dolphins playfully rolling or jumping out of the water. At dusk, watch the most magnificent sunset light the darkening sky. 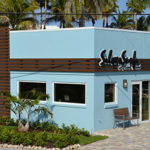 The Beach Club is the newest addition on the quaint Anna Maria Island. Boasting a community pool, spa, and a community deck overlooking the Gulf of Mexico, The Beach Club has all the amenities of a large resort, in addition to the added benefits of a private, un-crowded hideaway. Duncan Real Estate has a diverse selection of beachfront and “in town” rental properties on Anna Maria Island. Additionally, they specialize in all phases of buying, selling, and renting on Anna Maria Island, Bradenton Beach, Holmes Beach, and the surrounding areas. Whether you desire a pool to cool off in, or to be walking distance to restaurants, Sato Real Estate has an option to make your trip complete. 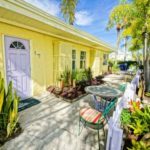 Their Anna Maria Island rental inventory is available by the week, month or season.They offer homes of all sizes, from luxurious and spacious, to quaint and more economical.